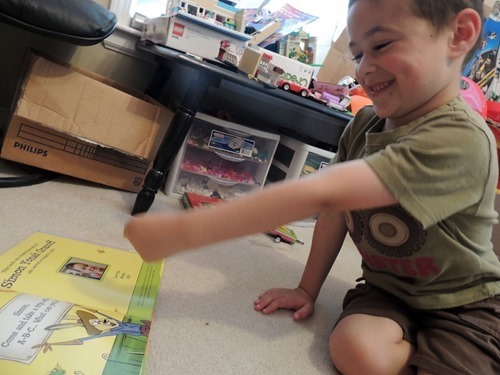 I See Me offers a selection of personalized gifts for all ages. 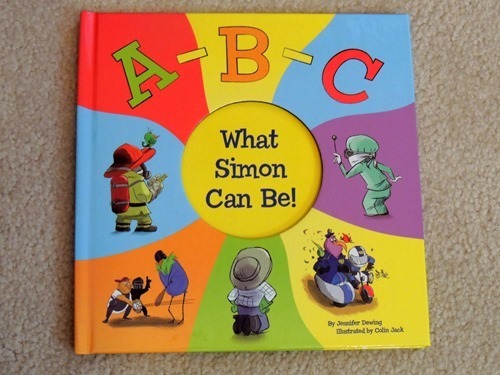 Simon received the book ABC What I Can Be, a personalized book for boys and girls ages 2-8. 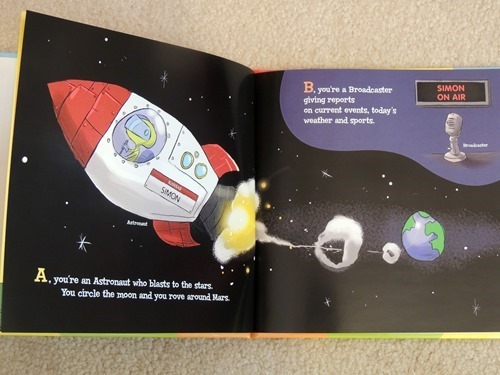 Your child will have fun learning all the different careers in the alphabet that he or she can be, from an Astronaut to a Zookeeper. 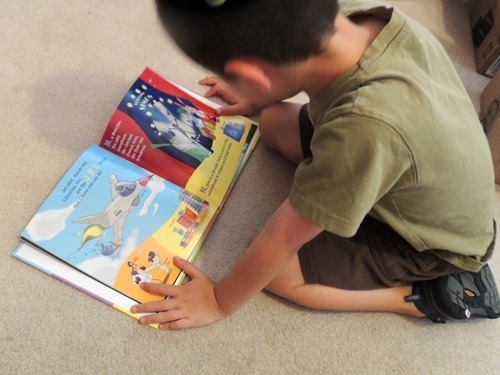 This personalized book builds self-esteem by showing your child at an early stage that with effort and determination, your child can be whatever he or she wants to be. 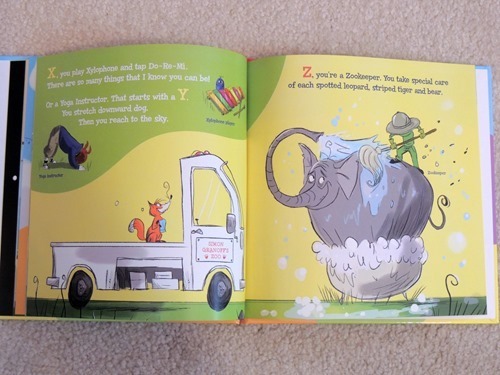 Illustrated with a unique retro style, the book is cleverly personalized in the text and throughout the illustrations. 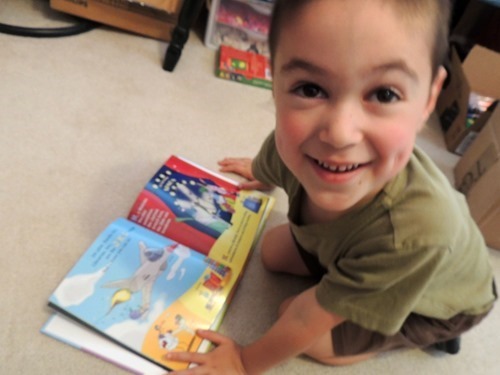 When ordering, customers have the option to upload a photo of their child to appear on the dedication page of the book. 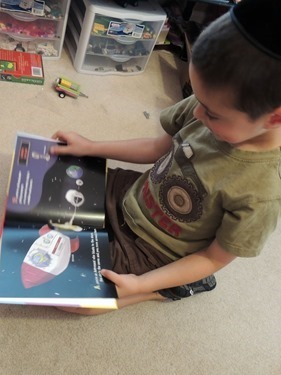 Children love seeing their names and photos in print! 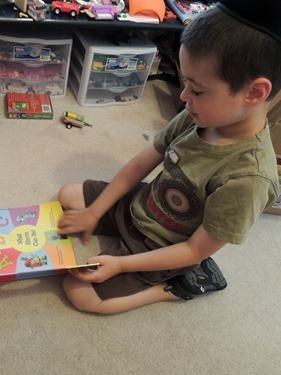 Simon loved finding his name on every page. 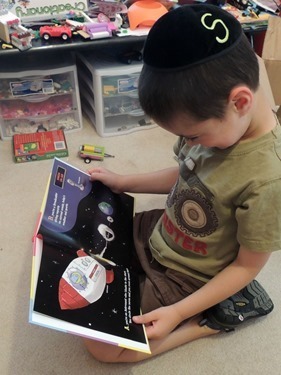 Some pages include his last name and some show our state as well! 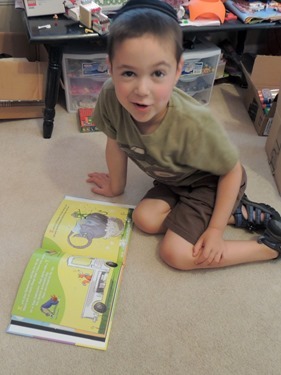 This book is perfect for a child about to enter kindergarten, because not only will he or she be able to find his or her own name, he or she will learn the alphabet and all about various careers as well. 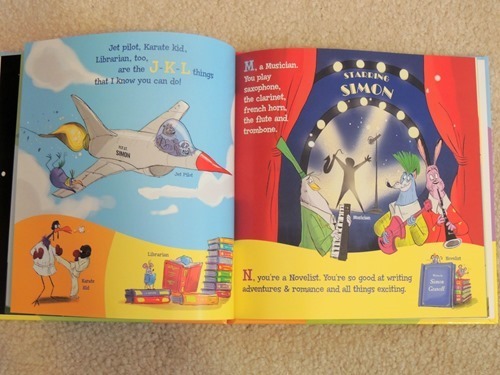 As Simon flipped through the book, he told me that he wanted to be almost every career found on the pages! And a whole selection for Back To School! Doesn’t Simon look so excited? ?